During the rounds you can watch the live results from the Live Scores link at the Tournament Page. All results are updated approximately every 15 minutes. Also, a new service provided by TCF web sites for the first time is viewing the games on the Internet without downloading PGN files. After PGN files of older rounds are uploaded on the page, you will be able to see PGN View links at the Results section. There are new videos available on the VIDEOS link of the Tournament Page. Round 3 of European Club Cup witnessed a close match between OSC Baden-Baden, the top seed team and Gros Xake Taldea making a draw after four of six individual encounters ended as a draw. 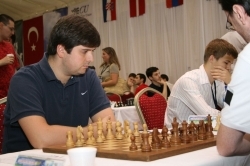 Peter Svidler, one of the world championship candidates in Mexico played in Kemer for the first time and won against GM Van Wely. 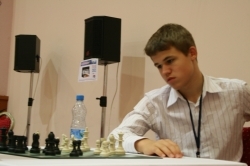 On the second board, Ural Sverdlovskaya defeated Belarusian Vesnianka Gran with 4.5-1.5. Current titleholders of this event, Tomsk-400 won 4.5-1.5 against Utrecht. 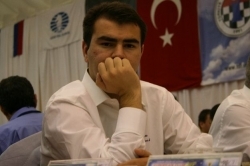 Another player from Mexico made his debut in European Club Cup, four times champion of Russia GM Peter Svidler won his first game against GM Loek Van Wely. Another exciting match was between Bank King Yerevan and Bosna Sarajevo which ended as a draw. After round 3, Ural Sverdlovskaya, Keystone, Alkaloid and Tomsk-400 are leading with 6 match points. In Round 4, tommorow Tomsk-400 is going to face another Russian club, Ural Sverdlovskya. Keystone is going to play Alkaloid. 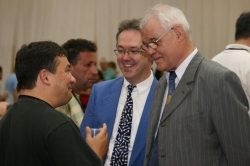 Bosna Sarajevo will play top seed OSC Baden-Baden who has newly crowned World Champion Vishwanathan Anand, who has not appeared on board yet. Maia Chiburdanidze with her inevitable hat.